Our rooms have recently been upgraded and we're often fully booked. Please call to book your rooms. Because the pub is busy with music and party nights the hotel will be full. 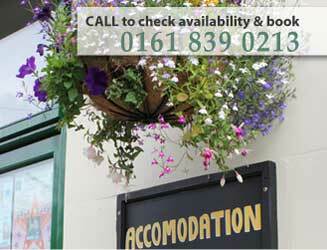 If you're visiting Manchester to visit us and we're full there are a number of other pubs / hotels close by. The Lower Turks Head is 1 4 minute walk. There is a Wetherspoons but for a list of Wetherspoons hotels. Our rooms have recently been upgraded and we’re often fully booked. Please call to book your rooms. Because the pub is busy with music and party nights the hotel will be full. If you’re visiting Manchester to visit us and we’re full there are a number of other pubs / hotels close by. The Lower Turks Head is 1 4 minute walk. There is a Wetherspoons but for a list of Wetherspoons hotels.